Unwrap thawed phyllo and cut sheets in half lengthwise. Immediately cover dough with a damp towel. Cut guava paste in thin slices, about 1 1/2 inches long and 1/4 inch thick (about a tablespoon). Take two of the stacked strips of phyllo, brush edges with butter. In one corner, put the guava paste and top with about a tablespoon of cream cheese. 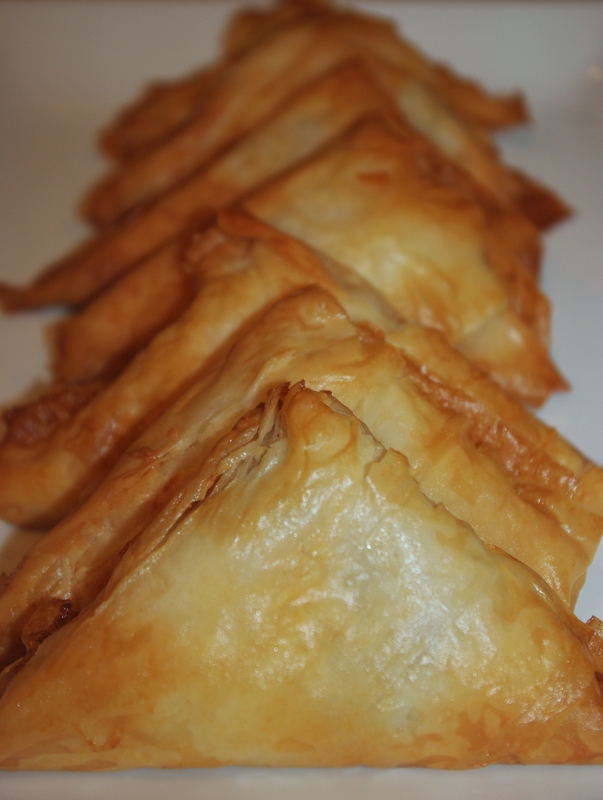 Fold into a triangle to the edge, covering the filling. Continue to fold the triangle up the length of the dough. Close edges. Place, folded side down, on a baking sheet covered with parchment paper. Brush the top with butter. Continue to make triangles until the baking sheet is full. Pastries will not spread. You will likely have leftover guava and cheese.